Fish can get sick due to different kinds of circumstances. Often diseases are caused by poor water quality or the new introduction of fish. Also it’s very important to recognize the symptoms of fish diseases at an early stage. 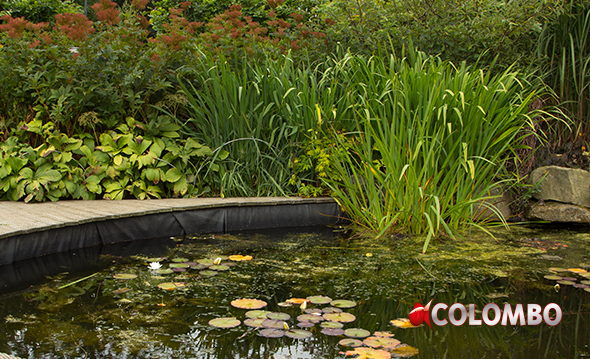 The product locator in the Disease Guide will help you to select the product most suited to treat your fish. 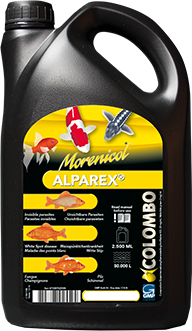 Alparex is effective against invisible parasites that cause a grey skin such as Ichtyobodo, Chilodonella and Trichodina. Also White Spot disease and fungus can be treated effectivly. 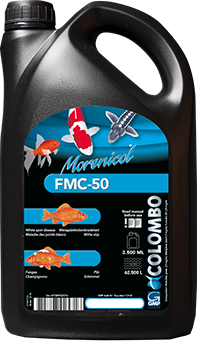 FMC-50 is active against fungus and white spot. Fungus can be recognised with the naked eye as white to greenish cotton like fluffs. White spot can be recognised on small white spots on the skin that resembles salt crystals. 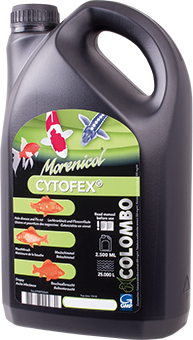 Cytofex is a unique product based on herbs and is active against bacterial infections such as skin ulcers, inflammations, fin rot and hole disease. 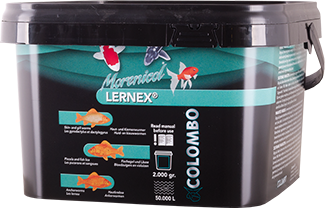 Lernex is active against skin and gill flukes, internal worms, fish lice and anchor worms. 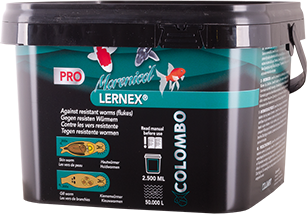 Lernex Pro is effective even against the most stubborn worms.